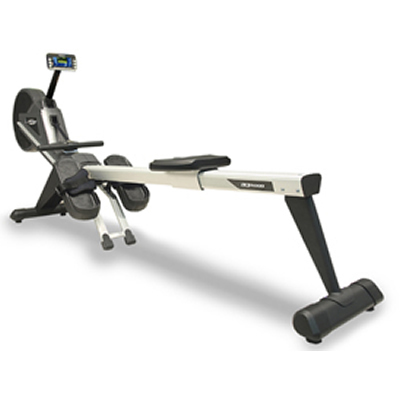 LK 5000 Rower of BH Fitness is a light commercial treadmill, having features like magnetic brake system, rail with 4 steel bearings covered with rubber, anatomically designed seat, 4 adjustable feet etc. Lightweight design, easy and quick assembly and dismantling. Brake system with adjustable intensity of 16 levels. Oscillating pedals that allow following the natural movement of the feet all along the exercise. 4 adjustable feet, which assure the maximum stability on any kind of surface. Inertia flywheel weight: 2,5Kg / 4 lbs. ToughTrain 3.5 out of 5 Have more than average features in such price category. *Note: Most of the sites, stores or shopping portals listed above sell LK 5000 Rower with discounts and other exciting offers. There is a possibility that the some of above websites are not selling LK 5000 Rower now. Toughtrain.com is not liable for such cases or instances. Also we do not recommend any seller for LK 5000 Rower and a buyer should buy from where he/she gets best deal with quality of products, service and on time delivery (shipment).